Sandyford Time Lord is the next Future sire to be released in 2019. Time Lord offers breeders the opportunity to use a bull that is free from many of todays most used bloodline. Time Lord himself is sired by Celandine First Lord and bred from the outstanding brood cow Sandyford Maple Clover VG86 (sired by Mapleburn Remington) who up to press has bred 6 VG daughters. 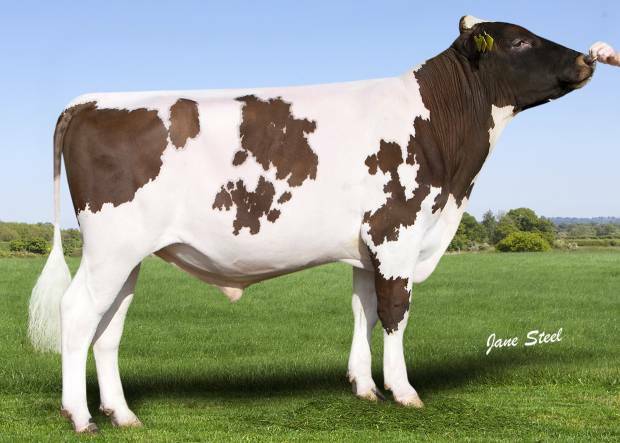 Being the Maple Clover is a EX94 pointed daughter of Hulton Park Twilight and then the great Sandyford Clover 10 who is classified EX97 (8E) and has produced over 100 tonnes of milk. He is available to the WORLD WIDE market today in both SEXED ULTRA 4M and conventional straws.